Is stroke with bleeding serious or without bleeding? 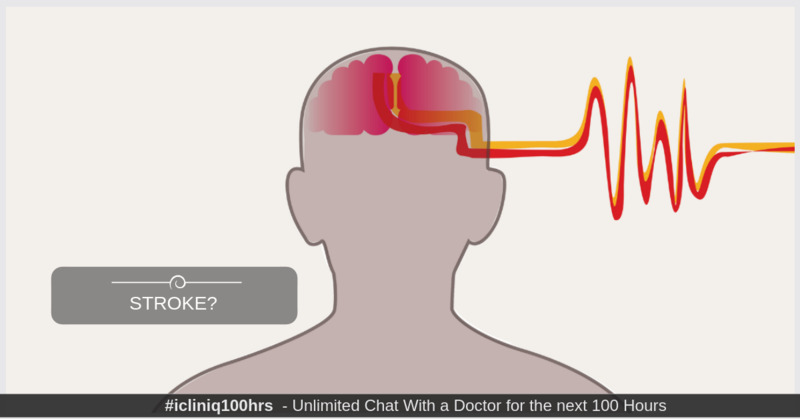 iCliniq › Ask a doctor online › Answers › Neurology › Brain Hemorrhage › Is stroke along with bleeding inside brain worrisome? Q. Is stroke along with bleeding inside brain worrisome? I got a stroke but I do not know how to explain it. Twice I was bleeding along with the stroke. One type of bleeding was chronic and the other one was acute. I would like to know which type of bleeding is dangerous? And also explain the reason for the same. • May I know the reason for slurred speech in a paralyzed person? • What is the white mass seen above my teeth in MRI? • MRI shows stroke and brain changes. Is it due to untreated sleep apnea? An acute hemorrhage is for a short duration but very dangerous. The reason being a sudden build up of pressure in the brain. In case of chronic bleeding it is not so dangerous but it will remain for a long period. In this case there is a gradual increase of pressure in the brain. Patient goes to a doctor only when the bleeding is significant in case of stroke. I would like to have a look of your MRI brain scan to get a detailed view of your bleeding. If you are feeling better then no need to worry. Is the forehead region more dangerous compared to the middle? Please guide. Forehead is generally less intense compared to the middle. Hence the location and quantity of bleeding is very important. As you are feeling better now, you can just continue with your medications and relax. Could you please explain MRI brain and CSF studies related to NPH? Should we continue hospitalization for my mom or take her home?